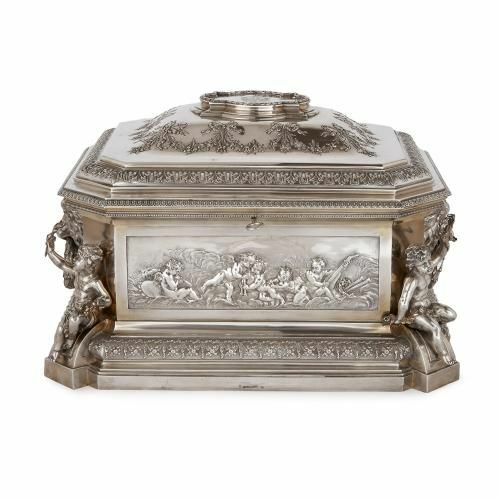 This outstanding silver casket is a brilliant example of Klinkosch's precious antique silver work, which remains highly prized for its fine quality. 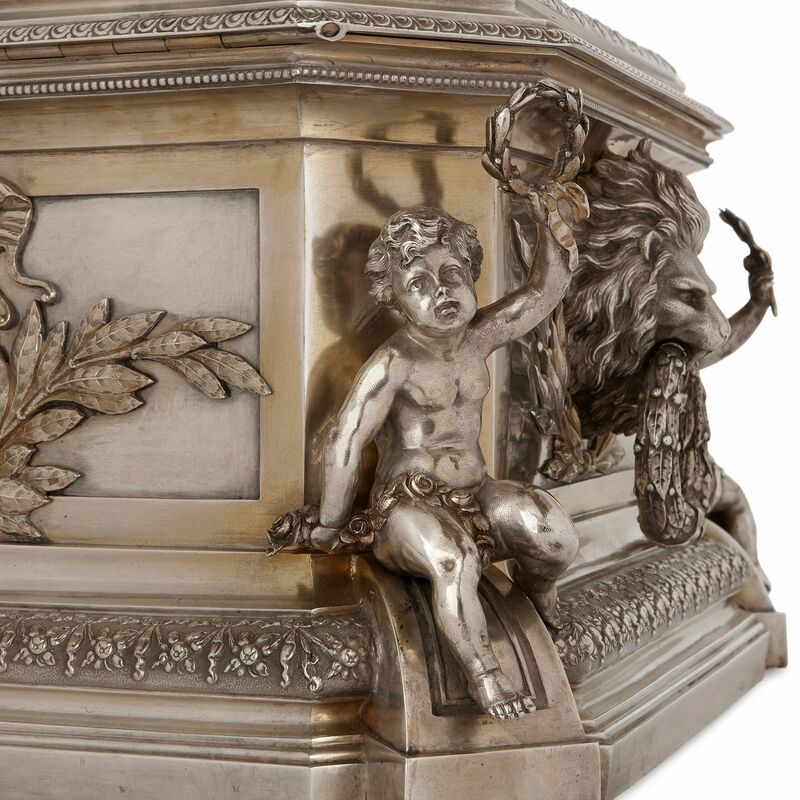 The casket is of rectangular form, with a seated cherub shown at each corner. 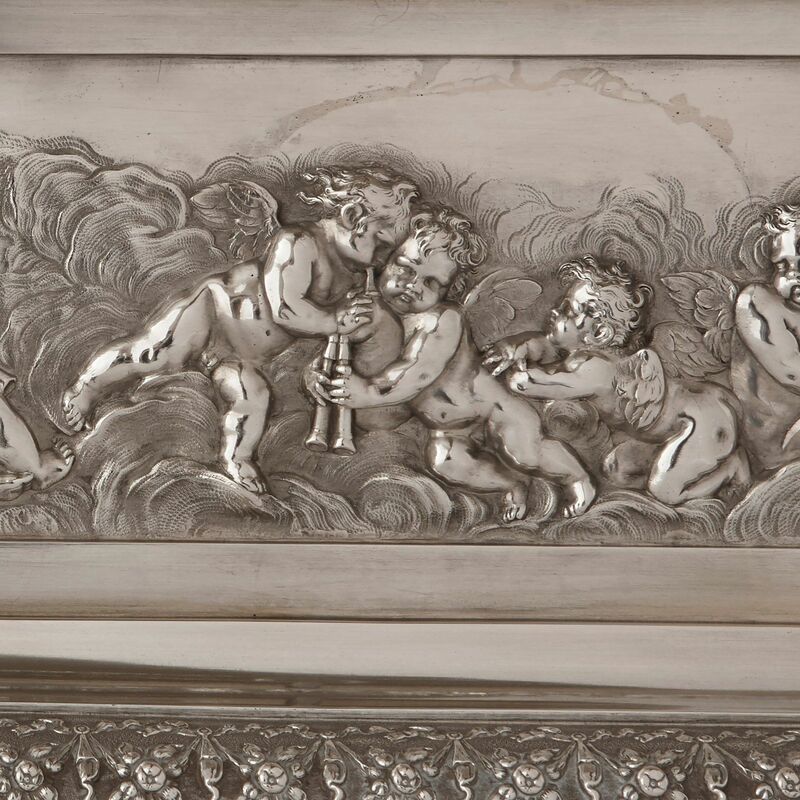 Two of these are shown holding aloft garlands of flowers, while the other two are each shown holding a torch. 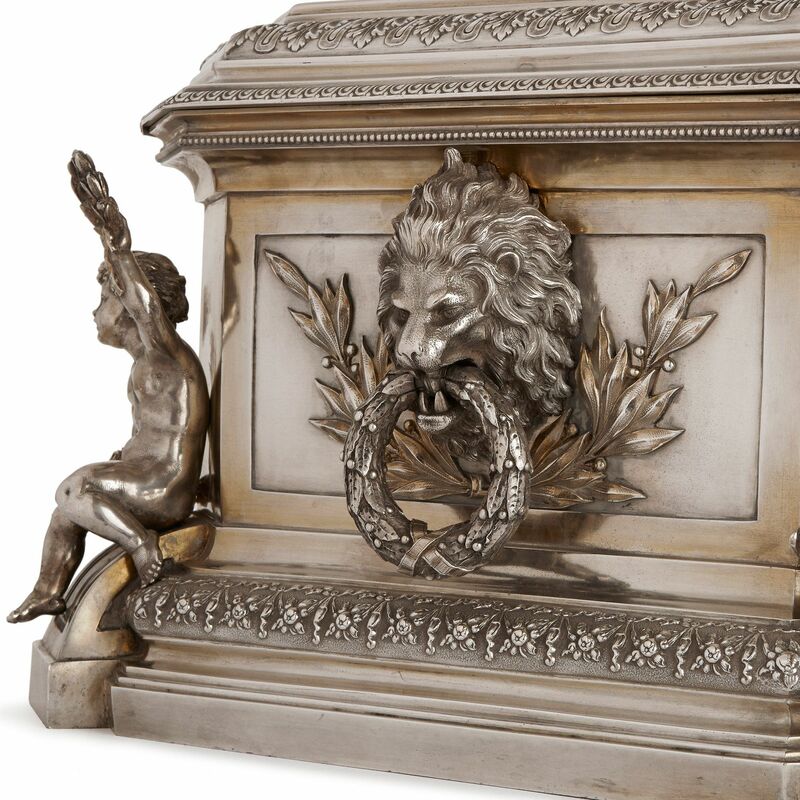 The front of the casket features a relief decoration depicting cherubs playing musical instruments, and the sides of the casket feature twin lion masks, with each lion holding a garland of flowers in its mouth as a handle. 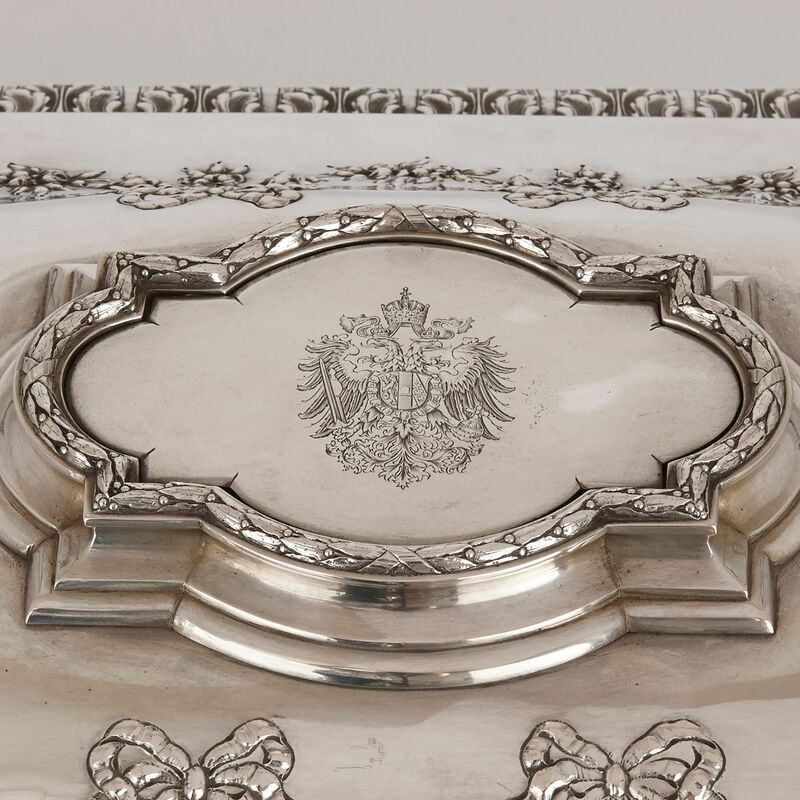 Ribbons, flowers and acanthus leaves are used to decorate the rest of the casket, and there is a coat of arms inside a shaped plaque on the top of the lid. The lid is hinged at the rear and can be locked via a keyhole on the underside of the rim. 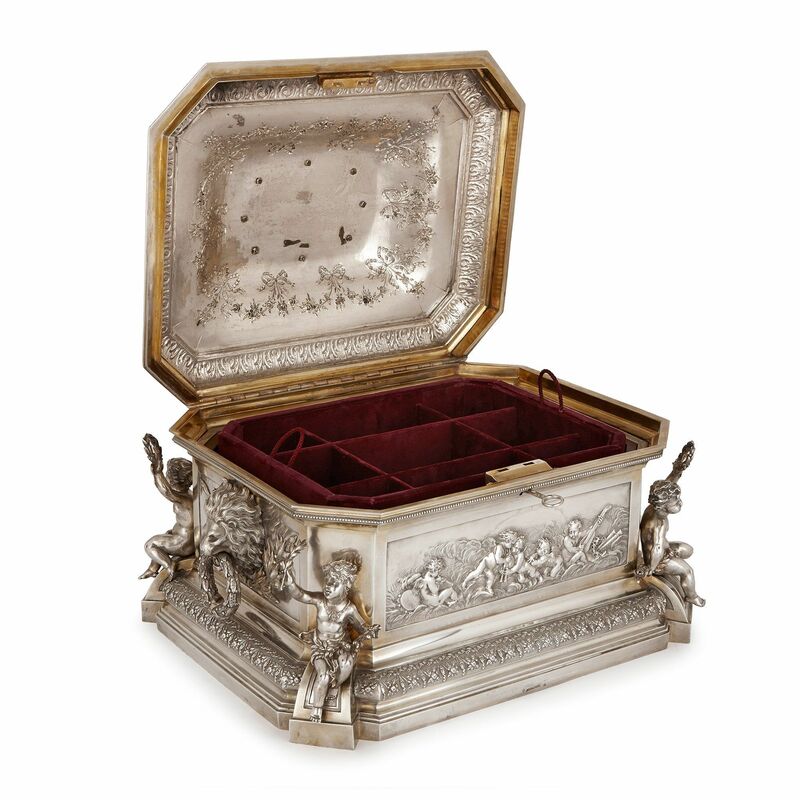 It opens to reveal two velvet lined jewellery trays, which can be taken out of the casket; the upper tray has nine compartments and the lower has six. 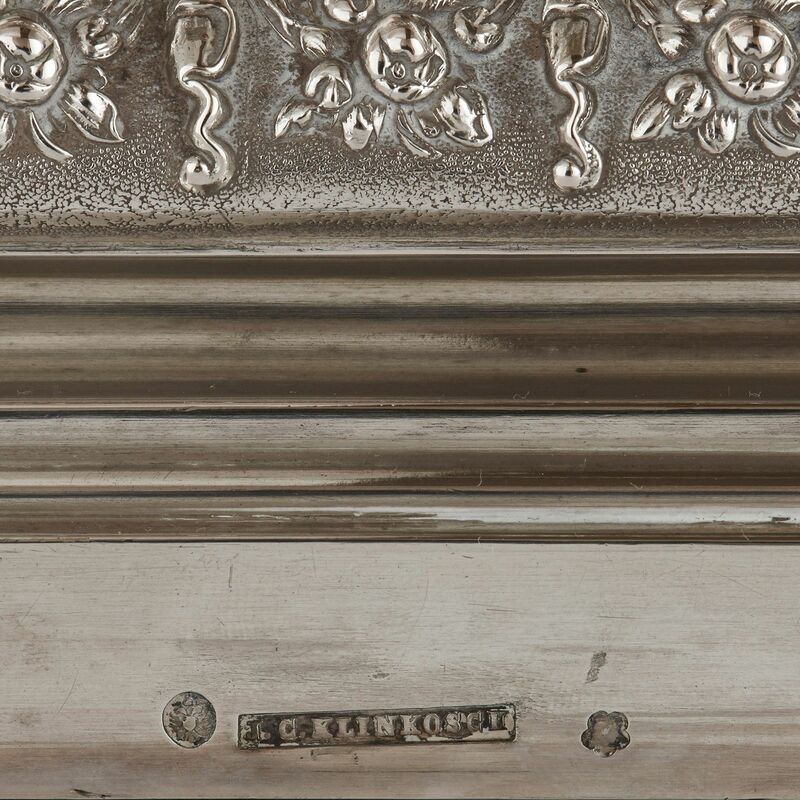 The casket is stamped with standard hallmarks in several places as well as a maker's mark reading 'J. C. Klinkosch'.